All things on earth are alive. All things on earth have meaning. All things on earth are united. All things on earth are to be cherished. Native Americans believe that animals are Spirit Guides, each possessing its own traits and qualities. 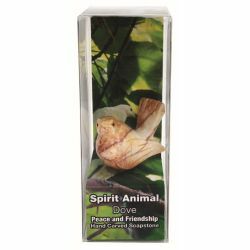 The Dove is a peaceful, joyous animal and symbolizes Peace and Friendship. May this animal totem fly into your life allowing you to soar to new heights and may you have a Peaceful life filled with Great Relationships and everlasting Friendships.